Ever wondered how mobile phone companies know where you are, in order to route the phone calls through to you? The phone in your pocket is keeping a constant “chatter” with the network informing them of your location. That’s how the police can track you down if you ever become a fugitive. They can tell where you are within a 10ft radius. And if you run, every 30 seconds your phone will inform them, and inform them, and inform them. You were never told this when you bought your phone. No one ever told you your privacy was being compromised on such a scale. We live in a world where we are recorded by video dozens of times a day, simply while shopping for groceries. At the checkout, our bonus cards record the frequency and breadth of our purchases, and even the times of day of our habits and movements. Our websites download “cookies” to our computer hard drives which record and survey our surfing, in order to guide us toward the products they’d like to us to buy.The credit card companies constantly trade information with the credit reference agencies who have a record of every time you’ve paid your phone bill (late or on time), every application to take out a loan (successful or not), and every move of address and consequent new post code. They use this information to judge you, your character, whether you can be trusted with the money they lent you. Don’t you feel uncomfortable? Don’t you just feel slightly nervous about it all? The sheer size and scale of all the information being collected about you, your habits, what you own and where you shop and whether you can be trusted anymore. How about if I told you we could end it all with one sweep of a politician’s pen? Would you vote for it? Would you vote to end all the surveillance and data gathering that swims around you every second of the day? If I told you that by pressing a single button you would be able to wipe all the information kept on you and you’d able to start your life afresh knowing that not one single sinister agency would have one single sinister fact about you, would you press that button? I can make this happen. I have just such a device and I’m putting it in front of you now. All you have to do is press the button. Why don’t you do it? The button is in front of you. Press it and let’s see how it can feel to be free. OK. So you’ve pressed it. It’s going to take some time, but all the information that’s ever been kept on you will be deleted. I’ll give you a running commentary while this happens, shall I? It’s started. Right now, your supermarket bonus card is being deleted. They don’t know who you are anymore. You are anonymous to them. Good, ain’t it? All the pictures on the CCTV cameras are being wiped, not that you were doing anything wrong, but it’s nice to know your human rights are being respected. He speaks well, but he speaks rubbish. 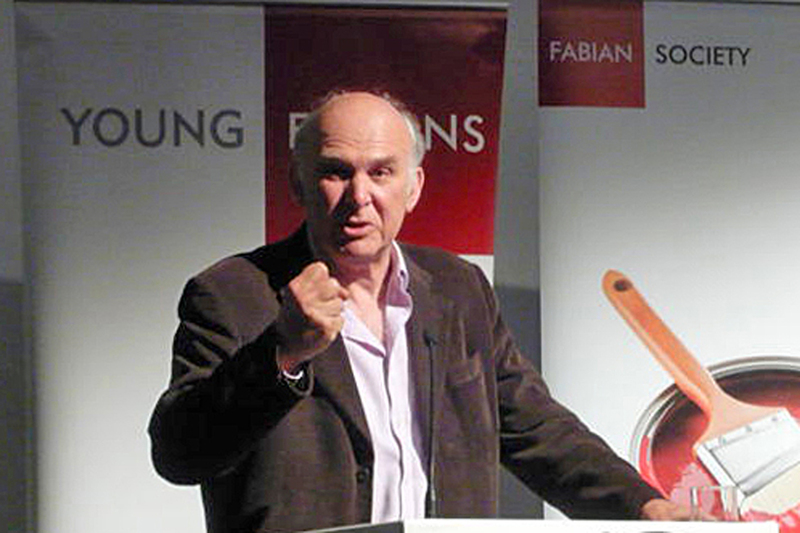 However, Vince Cable’s surprise appearance at Fabian Fightback made for the most entertaining speech of the day. He reminded us that he worked for John Smith in the late 1970s, and went on to speak of the division of the “progressive left” over the balancing of the budget deficit, all those years ago. He then skipped forward to the modern day and stated that the time has come for the division of the left to end. Two stories today (Wed) have caused me to contemplate an early election. The first was Tim Montgomerie’s analysis of the right-wing press coming out against Cameron. “At the slightest of opportunities, the Telegraph, Mail, Sun and Express will kick Cameron”. The comments section is terrific fun. He quotes the manner in which the Telegraph criticises Cameron for blaming Britain for being “responsible for so many of the world’s problems” and advises him to act more like Gordon Brown. The Mail, meanwhile, is on the attack over the Coalition’s plans for social mobility, while the Sun and Express complain that the government is lavishing money on Pakistan while cutting Britain’s armed forces. It is the case that the right wing press has turned savagely against Cameron, as a leader, but not necessarily against the Conservative Party. The second story came when I watched The Daily Politics and saw the authoritive and aggressive manner in which David Davies attacked the government’s confusion over cutting the armed forces, then choosing to take us into a war. This is not the words of an independent backbencher. There is no diplomacy and no holding back. This man is attacking his own government. We haven’t even completed the first year of a Conservative government and it’s falling apart. If the full five year term was completed under this leadership then it would be likely that the Tories would be so hated by the end of it that they would be out for another generation or two. They must be aware of this. However, the Tories have an alternative leader, waiting in the wings: David Davies. The problem is removing Cameron makes it highly unlikely that they will be able to complete their term. If Cameron were disposed of tomorrow, then a Tory leadership contest would give the Liberal Democrats the excuse they need to extract themselves from the relationship and reinvent themselves as the “real” Lib Dems, under someone like Simon Hughes. In other words, they will argue that they were badly led by a Tory sympathiser, Clegg, and were not acting according to their true instincts. The Conservative party may be able to limp along under David Davies doing deals with the Liberal Democrats, but it would likely make extremely weak government. They may also face a potential annihilation at the polls this way. However, if Davies was selected as leader and then immediately called an election, then they would have a good chance of either returning to government or of keeping enough seats to fight another day. So the question is, would the Conservative Party be ruthless enough to follow such a counter-intuitive course as to put themselves at high risk of losing power? I think that politics is miserable for the Tories right now. I think they’d rather be a united government-in-waiting than an incompetent government in power. Tony Blair reinvented the working class hero to be the kid from the council estate who went to university. But should the modern day working class hero be defined as the kid who finds life easy? The group of mates I grew up with were forever at the back of the class, proving who was the biggest lad or best laugh. We didn’t do too well in school and all left at age 16. The lads who stayed and did their A-levels were called the “squares”. However, once we were in our mid 20s, the squares were driving nice cars and buying their own homes, we were stuck in unskilled jobs with little future. Looking around for an escape from drudgery and realising we were failures in life, a whole bunch of my mates did the Knowledge and became London Taxi Drivers. It was the first time they’d taken education seriously. Labour’s “Client State” was identified by the Conservative Home website in their blameworthy analysis following the election of 2010. They concluded that Cameron had wasted huge recourses for no return in Labour seats with a (1) large ethnic population, (2) a large public-sector worker population, or (3) many people on benefits. (4) Scotland was also written off. It was a useful study for us. Previously, when Gordon Brown conceived his core–vote election strategy, no one was quite sure what the “core-vote” was, whether such a thing existed anymore, or what size it was. The Conservative Home discussion mostly concerned itself with pouring blame on the Cameron camp, but for us, their analysis was a useful insight. They clearly explained to us the sections of the population that they now believed to be unwinnable by the Conservative Party. 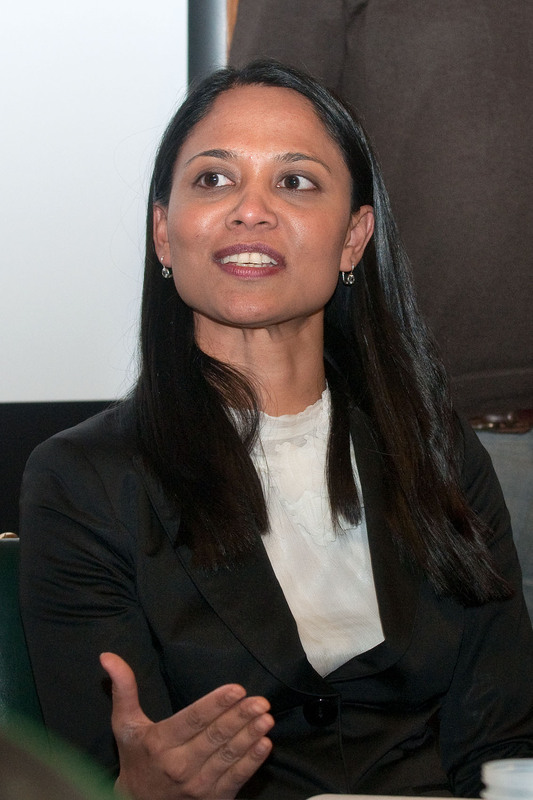 Following the election, the Labour leadership contest debated the sections of the population that were traditionally Labour, but had been lost in recent years. This was primarily the prosperous working class: The self-employed plumbers and contractors, etc. These are the people who used to support us, but now consider us to be the party of the poor and of the immigrants, who have nothing to offer them. I was encouraged by this conversation. I see these people as being my own. I see them as the people who have left the slums of previous generations, but have left Labour behind as well. I see them as resentful that Labour didn’t want come with them. I don’t see them as snobs. They’re certainly not Tories. I never thought it would be difficult to go after this vote, but I suppose you do have to know them to go after them. It’s really just a case of bringing them back home. I thought that during the leadership debate, the party had agreed to go after them. However, I was wrong. I was to be disappointed. I’m not sure if Ed Miliband knows who these people are. Maybe they’re the people you look up in the Yellow Pages? Maybe they’re the people you make a cup of tea for when they do a job on your house? Maybe the unions are connected to these people? Maybe they can help? I’m sure Ed Miliband thinks they’re perfectly nice people. But I’m not sure if he really knows who they are? How about Ken Livingstone? He’s a Lambeth lad, so surely he must know. But maybe his Lambeth youth is now so long ago that he doesn’t. Are these the people he took on in the 80s? Are these the people who read The Sun newspaper and complain about immigration? Aren’t these the people who voted for Margaret Thatcher when she gave them a chance to buy their council houses? They’re not exactly a bunch of Tories, but it is still difficult to imagine Ken going after them. I wrote a proposal for the London Mayor Campaign, thinking that people wanted ideas to win over this vote. I argued that we should win over the taxi drivers, as they are the people who speak to Londoners about politics, as they drive them from Zone 1 to Zone 5. If a London Mayoral candidate was able to appeal directly to this profession, then he’d have the campaign equivalent of the active Labour membership speaking to and persuading people to vote for him in the next election. I said that the way to appeal to them is to reorganise the traffic lights at night, so that cab journeys don’t waste time sat at empty junction after empty junction. Lots of American and European cities have their traffic lights turn to flashing amber at night, or flashing red for Give Way. The taxis would be able to transport three times as many fares for a third of the fuel. This would not only be of benefit to lowering the carbon footprint, but the taxis would see a great leap in their earnings and would come out in far greater numbers in order to get people home from the theatres and clubs. Unlicensed touts would become a thing of the past. I spoke to a couple of people close to the London campaign, but I got no enthusiasm in response. It’s as if the core vote is now the ongoing strategy. Ed Miliband will continue to try to figure out his squeezed middle theory. Ken will campaign in the outer boroughs, but seems unlikely to be planning anything bold. The arguments in the leadership campaign seem to have been just rhetoric. Writing in The Times today, Philip Collins, a former speech writer to Tony Blair argues that it is a “nasty stalemate” with the Tories controlling the south, while Labour controls the north, and neither party is looking to change the rules. He says that the only politician likely to benefit from this war of attrition is the “Westminster schoolboy who represents Sheffield Hallam”. He’s referring to Nick Clegg. God, I am so depressed. I once worked on a chicken farm, where the chickens were grown from chicks to full size birds in huge sheds. Once the chickens had become full sized, there was not enough room for all of them to have their feet on the ground, so two layers developed. It was our job to go through the chicken sheds and pick up the dead birds that had been trampled underfoot by their peers. 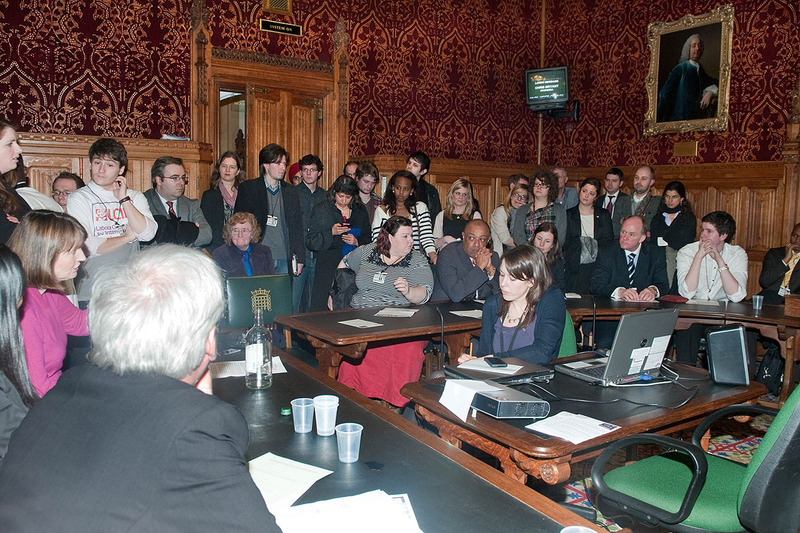 I thought about this last night when the Labour Campaign for International Development grossly underestimated the likely attendance, and flirted with the idea of having a 2nd layer of Labour members in Committee Room 7 of the House of Commons. Harriet Harman launched the event, with her junior, and my MP in Bethnal Green & Bow, Rushanara Ali. 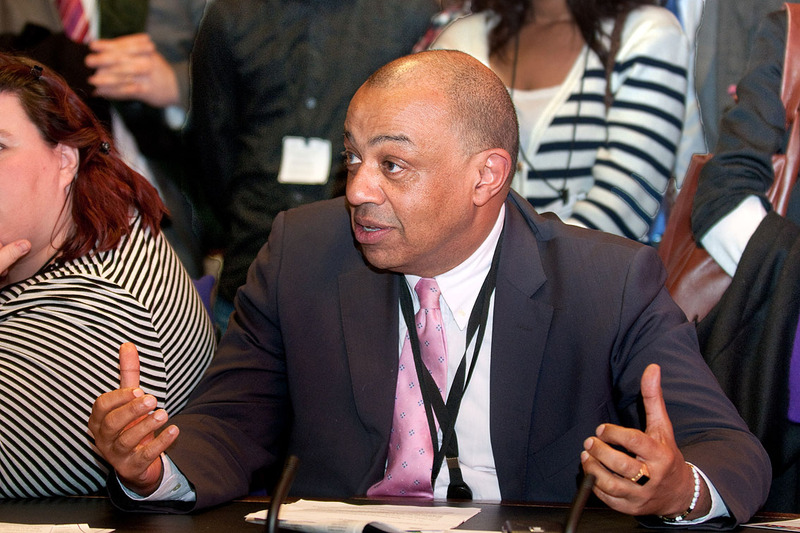 It was good to see Paul Boateng (now Lord) back in Westminster from his career as high commissioner to South Africa. I’m sorry I didn’t make a note of people’s names and the points they made. I was too busy taking the photos. If anyone wants to help by making notes at future events, please let me know. The general point made was not to let the Tories off the hook for their promise of 0.7% of GDP committed to development. £2m of DFID money was recently diverted to cover the cost of the Pope’s visit, which highlights the sneaky way in which the government will avoid their obligations. There is more information at their website here. The difference between a doctor and an architect is that a doctor gets to bury his mistakes while an architect plants vines. There is no doubt that Miliband does represent a break with the past, but what about the future? Labour’s rating has been buoyant in the polls, but Miliband’s rating remains submerged. The electorate’s view of him is detached from their view of the party. They like us, but are unmoved by him. Without a boost to the leader, the party’s poll rating should be considered as illusory. Mr Miliband must therefore up his game. At least he proved himself in Prime Minister’s Questions. Responding to Cameron’s caricature of him as a student politician, he immediately hit back, reminding Cameron of own student days, “throwing bread rolls and wrecking restaurants”. This should not be underestimated. Mr Cameron is a formidable parliamentary player, but Mr Miliband is more than a match. So in Parliament, he holds his own, but how about in the media? To me, this is where he has been losing. His weakness is his interventions. For example, when the Prime Minister’s Head of Communications, Andy Coulson, resigned, Miliband’s response was, frankly, boring. He told the television news that Cameron, “made the wrong judgement by hanging onto Andy Coulson because it’s clear that questions need to be answered”. As a former news editor, I’d say that The TV crew might as well have gone to the local shopping mall and got vox pox from the passers-by, for what that quote was worth. The entire NoW hacking scandal would have been forgotten about if Cameron hadn’t hired Coulson. Is appointment was the only reason that The Guardian started digging, and rightly so. All it takes is for a civil servant to lose a disc with our personal details, and there is a major scandal, with the government being labelled as “Big Brother”. Cameron hired a man implicated in a bugging scandal, and took him into the heart of government, without ever considering the potential implications. On the day Coulson left, Ed Miliband had nothing worthwhile to say. The humiliation and incompetence of David Cameron seems to have completely passed him by. When looked at this way, it is little wonder Ed Miliband has so far not made his mark on the British public? So how does he up his game? When we think about political leaders making interventions, we remember Tony Blair’s response to the death of Diana. We also remember Mr Cameron cementing his leadership credentials in his response to the Parliamentary Expenses affair (although we strongly suspect he had advance warning). We certainly consider the still recent Obama speech, bringing people together following the terrible shooting in Tucson. However, the far more important interventions are the more regular comments, from the political leader, on the state of the nation, and on the view of the party and the people. In fact, political reputations tend to be built upon a hundred small interventions, but remembered by a single big intervention. Further to this, a political leader will not strike that cord, or capture the mood of the nation by waiting for it to happen. It will come unexpectedly, but it will only come if the politician is pursuing a course of regular interventions, in the daily business of representing his party’s view. So is Ed Miliband an architect who plants vines? Will he use his flowery rhetoric as a screen to cover his failings? Will he claim glory for the points scored by the shadow cabinet team behind him, while making intangible points about the “squeezed middle”? Or is he growing into the job incrementally? Yesterday, in The Independent, Miliband entered into the debate of whether the government’s Big Society policy is a spin on Thatcherism. He made a razor sharp point, cutting to the very heart of Cameron’s leadership and undermining the Tory leader in the eyes of his party. He showed himself as no planter of vines. 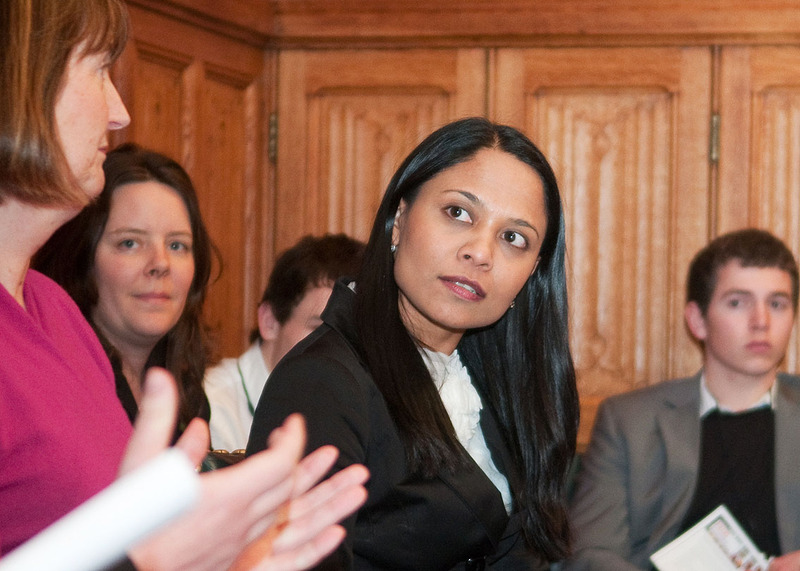 Firstly, David Cameron is surrounded by back-benchers who were elected without being on the Cameron-approved A-list of parliamentary candidates. His party members hear his lectures of bottom-up decision making, only to have their prospective candidates imposed on them. He is the Tory leader who was handed the opportunity of majority government and delivered a coalition. He has survived in spite of his arrogant distain of his own party, because he has persuaded the Tories that his detoxification of their brand has made the unelectable, electable. In The Independent article, Miliband has accused The Big Society policy of causing of “the recontamination of the Tory party.” Through this argument, he demonstrates that the David Cameron’s r’aison d’être is being eroded, by the flagship policy of David Cameron himself. This strikes at the very heart of Cameron’s leadership. His intervention was not particularly high profile, nor was it glamorous to the world beyond the Westminster village. In itself, it is hardly a manifesto for a future Labour government. It was an intellectual point that brought clarity. It highlighted the failings of the government, while undermining the Prime Minister amongst his own supporters. It was noted by the opinion formers and will affect their output. We’re yet to see the depth of Mr Miliband’s talent, but yesterday he showed us that he has further to go. His is slowly dressing for the job. It is incremental, and therefore frustrating, but it is fun none the less. We need more of it. To the frustration of the media, there was no pre-match hype to this first bout between Gideon Osborne and Ed Balls. What they really wanted was a weigh in. They wanted the close-up photo of chancellor and challenger, nose to nose, before being pulled away by their respective camps. They wanted a couple of insults and maybe even some punches swapped between the antagonists. In fact, the meet wasn’t even listed on the Parliamentary Channel program guide. Inevitably it was a disappointment, since we already know their positions, and that was never going to change. A plan B, produced from a hat where a rabbit should be, would be an admission of defeat. Anyone who remembers the grinding recession caused by the ERM will tell you that no amount of unemployed, no amount of busted businesses or repossessed homes would cause a Tory to admit he is wrong. However we didn’t know the meet was going to be dull when we switched on. It was only when it was over that we realised that we’d only tuned in for the jokes. Balls won on the jokes, but the real winner of this fight will be decided by the economic indicators, and world’s economists will be watching with fascination. And for the economists, rather than the politicos, it was a Petri-dish, rather than a boxing ring. The excitement of blood and tears gives way to the observations of the profession that was invented to make weather forecasters look good. On the one side of the dish is monetarism, while on the other, Keynesism. Only one of these beasts can win. What was interesting was the invisible nervousness of Osborne. He seemed calm and confident. Anyone would think he was relaxed and ready for battle. You’d think he hadn’t given this encounter much of a second thought. But his decision to risk Project Merlin by announcing extra tax on the bank levy, that very morning, gave the game away. He was dreading this encounter. Here’s the link. Four minutes in.